This Undead Monday, we cast our eyes upon yet another undead creatures of the dark.... Trolls! 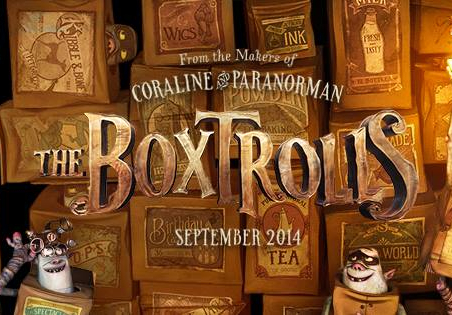 Not just any trolls, but The Boxtrolls by the talented folks from Laika, Inc. Without a shadow of a doubt one of the most beautiful animation in a long time, we here at The Daily Zombies are big fans of ParaNorman, the visually-stunning 3D stop-motion animated horror comedy that was released last year. Produced by the talented folks from Laika, Inc., the stop-motion animation studio behind the remarkably animated adaptation of Neil Gaiman's Coraline back in 2009, ParaNorman was a refreshing break away from the tentpole animation that we have come to accustomed. Working together with Focus Features for their third collaboration, Laika has announced their upcoming new animated film, The Boxtrolls. 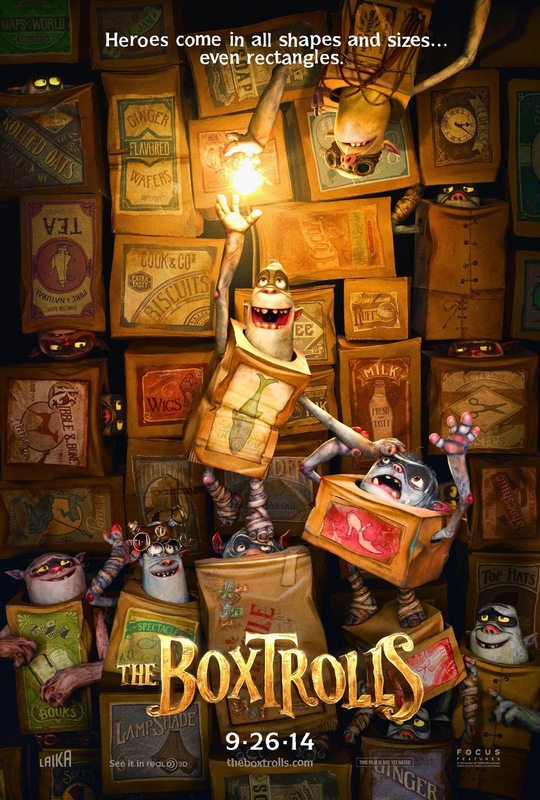 A 3D stop motion animated film, The Boxtrolls is based on Alan Snow's "Here Be Monsters!" and features a stacked list of cast lending their voices to the animation. Based on the recently-released teaser trailer, we are quite certain that Laika's signature mix of black humor and adolescent fun will continue with this one. With no further ado, hit the jump to check out the impressive teaser trailer that have been causing some level of unpleasantness for the homophobic. Not that I give a damn about them anyway, so here goes. Hit the jump to check out heck out the first concept art from the film followed by a full press release on the film. PORTLAND, February 7th, 2013 – Marking their third project together, LAIKA and Focus Features, the two companies behind the current Academy Award-nominated animated featureParaNorman, announced today that LAIKA has begun production on TheBoxtrolls. The new movie will be released nationwide by Focus on October 17th, 2014. Focus CEO James Schamus and LAIKA President & CEO Travis Knight made the announcement today. 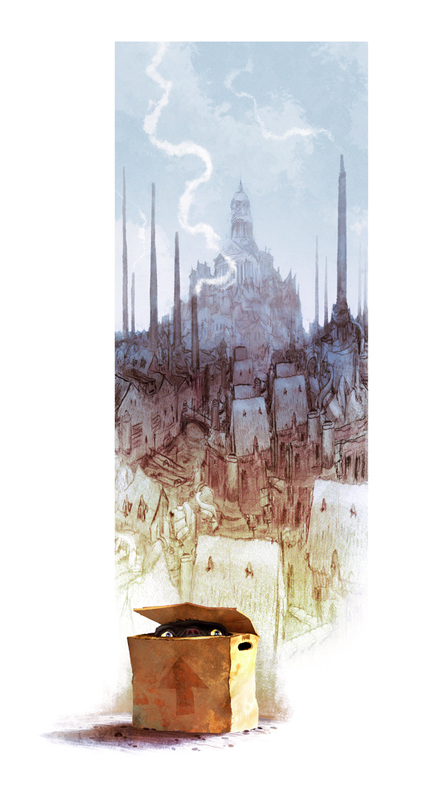 As on the previous animation collaborationsParaNorman and Coraline, Focus will hold worldwide distribution rights to The Boxtrolls, and Universal Pictures International will release the movie overseas (with eOne Distribution handling Canada). Coraline (2009) earned Golden Globe, BAFTA, Critics’ Choice, and Academy Award nominations for Best Animated Feature Film; and was named one of the year’s 10 Best Films by the American Film Institute (AFI). In addition to its Academy Award nomination,ParaNorman (2012) is in the running for the BAFTA Awards’ animated feature prize.ParaNorman has won two Annie Awards (the animation community’s Oscars equivalent) and been cited as best animated feature film by 14 critics’ groups, more than any other 2012 animated feature. The Boxtrolls is a 3D stop-motion and CG hybrid animated feature based on Alan Snow’s bestselling fantasy adventure novel Here Be Monsters. The Boxtrolls is being directed by Anthony Stacchi (co-director of the hit animated feature Open Season) and Graham Annable (story artist on Coraline and ParaNorman), and produced by David Ichioka and Mr. Knight. The voice cast includes Academy Award winner Ben Kingsley, Academy Award nominee Toni Collette, Elle Fanning (marking her fourth movie with Focus), Isaac Hempstead-Wright (Game of Thrones), Emmy Award nominee Jared Harris (Mad Men), Simon Pegg (Star Trek), Nick Frost (of Focus’ upcoming The World’s End), Richard Ayoade (The IT Crowd), and Tracy Morgan (30 Rock). Directed by Anthony Stacchi and Graham Annable with an incredible voice cast featuring Ben Kingsley, Elle Fanning, Toni Collette, Jared Harris, Simon Pegg and Nick Frost, The Boxtrolls is currently scheduled for a release date of September 26, 2014.